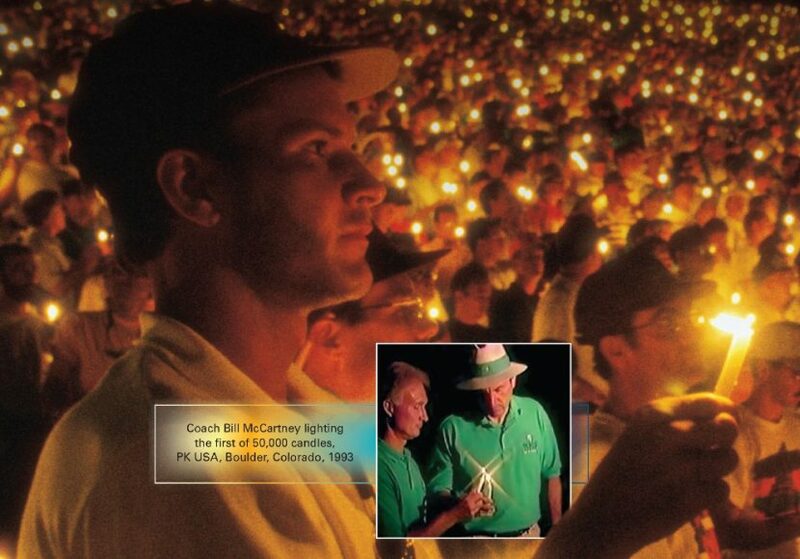 At a Promise Keepers Event in 1993, Coach Bill McCartney shared the flame from his lighted candle with one man. This was passed around from man to man until all 50,000 men were holding lighted candles, creating the iconic image on this year’s brochure. News of this Event went around the world and led to one of the most impacting experiences of my life - attending a sold-out stadium event at Promise Keepers USA in Boulder, Colorado in 1994 with four other Kiwis. Before a backdrop of the magnificent Rocky Mountains, we worshipped God together and were inspired by great men of God. The most amazing part was seeing God move mightily on men’s hearts. We came back home from that conference all fired up, and started Promise Keepers in New Zealand. That was the influence of the Boulder experience. I Can’t Wait to See What God Will Do in 2016!